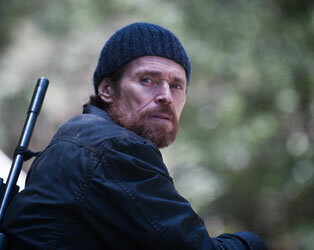 Based on the acclaimed novel by Julia Leigh, The Hunter, starring Willem Dafoe, is opening this Friday, July 6th at the IFI and to celebrate, we have two great prizes to give away! Win one of 2 DVD + film poster combos: a DVD and poster of the film Antichrist OR Animal Kingdom on DVD and a poster for The Hunter! All courtesy of the kind folks at Artificial Eye. Simply answer this question and enter your details before midnight Sunday, July 8th to be in with a chance to win! Two winners will be chosen at random on Monday, July 9th and notified by email shortly after. The Hunter opens this Friday, July 6th and continues at the IFI until Thursday, July 26th.